This bestselling book has been completely updated and expanded to help teachers use the project approach in child care centers, in preschools, and in kindergarten, 1st grade, and early childhood special education classrooms. For those new to using projects, the book introduces the approach and provides step-by-step guidance for conducting meaningful projects. Experienced teachers will find the teacher interviews, children’s work, photographs (including full color), and teacher journal entries used to document the project process in actual classrooms very useful. an update of the use of technology for both documentation and investigations, including use of the Web as well as and video and digital cameras; * and more toddler projects that reflect our increased knowledge from recent mind/brain research about toddler understanding and learning. A study guide for pre- and in-service teachers is available at the Teachers College Press website. 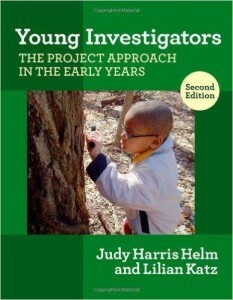 Continuing the exploration of project work in the author’s bestselling book, Young Investigators, Second Edition, this book is designed for preschool through primary grade teachers who know how to do project work but are ready to move to the next level. 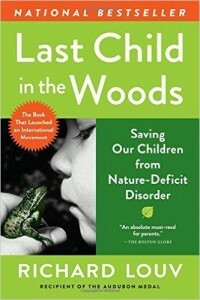 Focusing on how children become young thinkers, the book begins with mind, brain, and education science and instructional guidelines for all learning experiences, and then connects these to the rich foundation of the project approach. 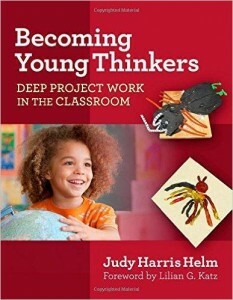 Helm provides specific strategies for deepening project work, including how to select meaningful topics, plan for projects, integrate standards (including the Common Core), support children’s questioning, create provocations to promote engagement, and help children represent their ideas. This practical resource will extend practitioners’ knowledge about project-based learning so they can move beyond the basics to create project work that is more engaging, meaningful, and productive. Maestro, Betsy- Why Do Leaves Change Color? Wallace, Nancy Elizabeth – Leaves! Leaves! Leaves! McKy, Katie – Pumpkin Town! Kudlinski, Kathleen V. – What Do Roots Do? Ehlert, Lois – Nuts to You! Canizares, Susan – What Do Insects Do? Allen, Judy – Are You a Bee? Robinson, Fay – Creepy Beetles! Cutting, Brian and Jillian – Are You a Ladybug? Colandra, Lucille – There Was an Old Lady Who Swallowed a Bat! Selsam, Millicent – Keep Looking! Colandro, Lucille – The Was An Old Lady Who Swallowed Some Snow! Lewison, Wendy Cheyetter – Mud! Nayer, Judy – How Do Frogs Grow? Vern, Alex – Where Do Frogs Come From? It’s A Baby Series by Kelly Doudna – White-Tailed Deer!, Beaver! Peterson, Deborah – Don’t Throw It, Grow It! Martin, Mary Jane – What’s Inside?